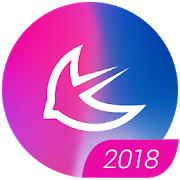 APUS Launcher – One of the Best free launcher for 2018, more than 100 million installs & 4.5 high rating on Google play. APUS Launcher is recommended hundreds of times everyday by Google Play in different countries. APUS System, beyond an Android Launcher. Make Your Phone Special. As one of the best Android free launcher on Google Play, APUS launcher is the best choice for you. APUS Launcher, fast, small, stylish, smart and efficient, provides themes, wallpapers, all kinds of features and service.